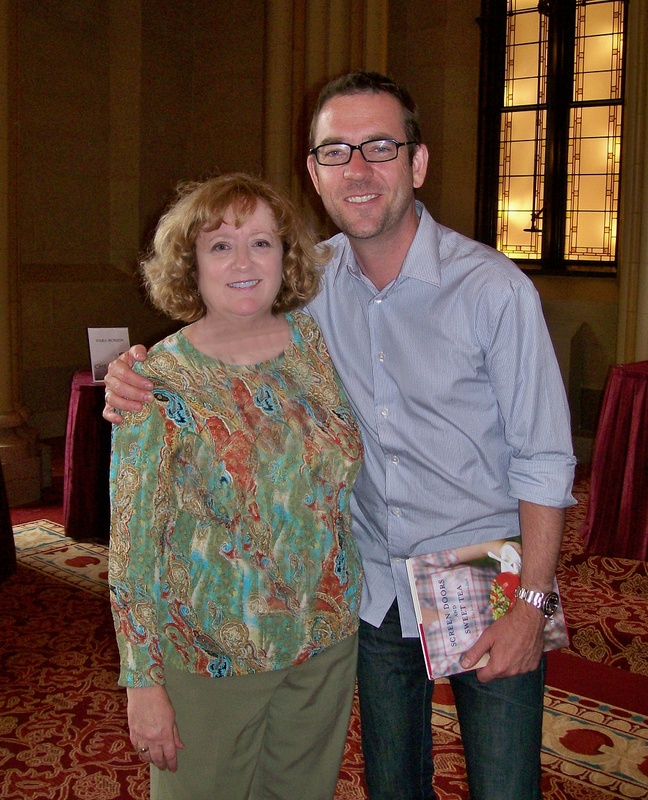 On the 20th anniversary of the inception of Dining Out For Life I had the opportunity to interview their spokesperson The Food Network’s James Beard award winning host of Chopped, Ted Allen. 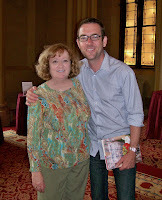 Ted Allen shared time to chat with Examiner.com about his commitment to Dining Out for Life, how Queer Eye for the Straight Guy evolved, Top Chef, Iron Chef America and more. There are 50 restaurants giving varying percentage of this one day fundraiser to Moveable Feast – Donating 50% of their proceeds are three very special and unique Baltimore restaurants – 13.5% Wine Bar + Food – Chef Cyrus Keefer, Gertrude’s - Chef John Shields and Woodberry Kitchen – Chef Spike Gjerde. Chefs and restaurateurs are the backbone to fundraising for so many charities – I am in awe of their generosity. Moveable Feast, a non-profit which offers meal delivery programs to homebound people living with HIV/AIDS and breast cancer, transportation and in addition, a culinary training program. See how your one meal on Thursday, September 17thcan feed many. Feed people, Fight disease and Foster hope. Dara Bunjon: When you look back at your early days as a journalist in Chicago what were your aspirations? Any dreams of what the future would hold for you? DB: How did Queer Eye for the Straight Guy come about? It was pretty brave even for 2003 to ‘come out’ nationally. It wasn’t that long before that Ellen DeGeneres’s career suffered a blow when she came ‘out’ in 1997. DB: Thank you for doing your part as Dining Out for Life’s spokesperson for the past six years. In fact, it is DOFL’s 20th anniversary this year. What have been the accomplishments and what do we still need to do? DB: How did being a judge on Top Chef and Iron Chef America prepare you for hosting Chopped? and Top Chef refined that talent, improved my skills to communicate on how food tastes. Baltimore, dine out on Thursday, September 17th and help Moveable Feast continue to provide numerous services, free, to people with HIV/AIDS and other life-threatening illnesses. Fifty local restaurants are committed to donating a percentage of the lunch, or lunch and dinner proceeds to this amazing charity. Everyone wins – you enjoy great food, the restaurants fill their seats and most importantly the needy clients of Moveable Feast continue to have meals delivered, receive needed transportation and more.